We have spent the last few weeks redesigning our website to bring you a refreshed new look site where you can find all the information you need quickly. The one-page design should make it easier for those using mobile devices to access the website and keep up to date with our latest news and offers. If you have any new ideas or suggestions we would be delighted to hear from you. Please either comment or use the contact form at the bottom of the homepage. 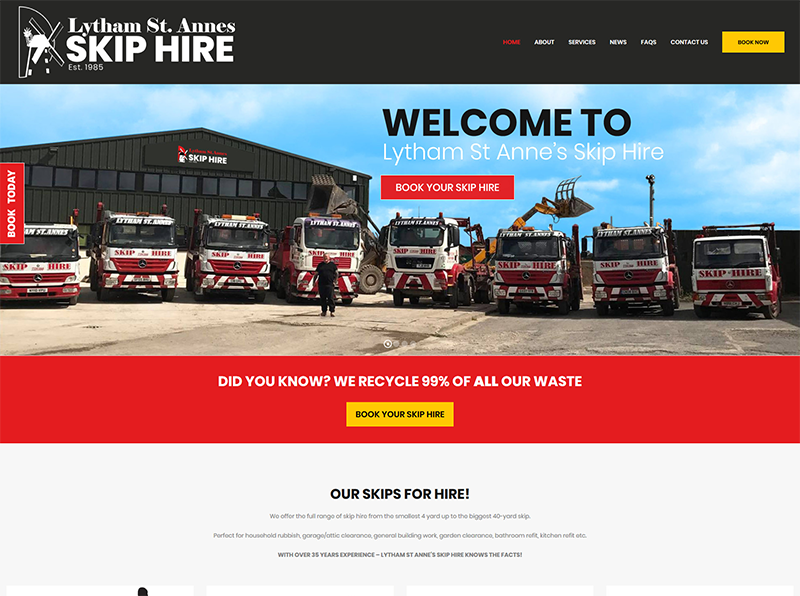 Lytham St Annes Skip Hire.